“Champagne, it is often said, celebrates the art of blending…Dozens of growers are now seeking to better understand their terroirs through single-vineyard Champagnes. 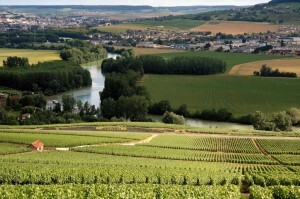 Often, the wines are superb.” In the New York Times, Eric Asimov on Champagne’s single-vineyard wines. “Making the restaurant environment a professional one is a good first step. The next would be making restaurants a place where women can build careers over a lifetime.” In Munchies, Victoria James on how to make the restaurant and wine industry a better place for female somms. In the San Francisco Chronicle, Esther Mobley reports that Sonoma’s most elusive sparkling wine, En Tirage, is back. In Forbes, Cathy Huyghe foresees indigenous grapes and women in wine being key wine themes for 2018. In Bon Appétit, Marissa A. Ross shares 10 of her favorite wines of 2017. Do consumers pay more for sustainably certified wine? Liz Thach investigates. In Meininger’s, Robert Joseph offers insight into the future of the wine industry, results from a survey he sent out to 1,285 wine professionals in 59 countries. Are reduced-calorie wines worth it? Maybe, maybe not, finds Lisa Drayer in CNN.